Milkshakes in Florida have evolved from frosty dessert to artistic competition in recent years. Consumers now have dozens of options and toppings that go beyond the basic chocolate or vanilla, but this ever-growing flavor parade has only made it harder to choose. 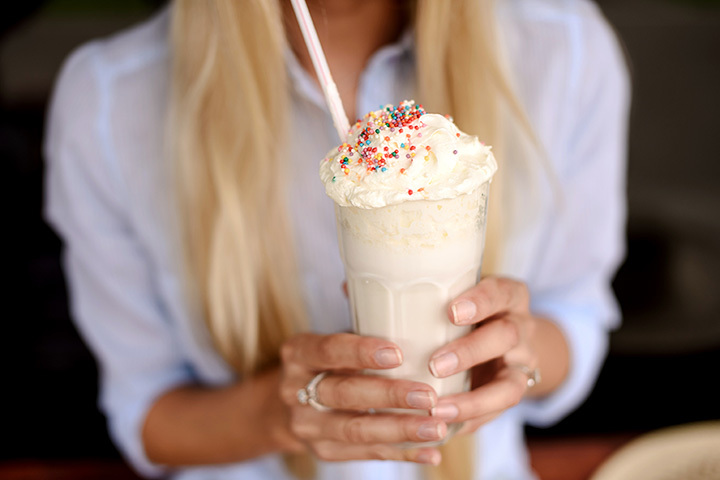 Your best bet is to try them all, especially if you find yourself at one of these 10 best milkshake places in Florida. Tucked inside a roadside fruit stand are some of the best milkshakes you’ll ever taste. They make their shakes out of some of the fresh fruit they sell to give every sip exceptional flavor. Fans rave about the key lime milkshake in particular, as there’s nothing quite like it anywhere else. This tasty little treat shop combines the best of waffles and shakes into one delectable experience. Their hand-spun shakes look almost too good to eat, using a variety of unique flavors like blackberry cheesecake, cookie dough, or blueberry compote and an extensive list of toppings. Top it off with a side of waffle bites—you’ll be glad you did. If you’ve ever wanted to make a full meal out of a milkshake, your dreams will come true at Bocas House. Their premium milkshakes in flavors like Nutella or Tres Leches are nothing short of amazing. A cold, frothy shake is piled high with ice cream, brownie, dessert sauce, and more delicious goodies. You might just want to skip the meal altogether and head straight for the shake. This trendy 1950s-inspired ice cream shop has a modern milkshake menu you’ll go nuts over. Offering traditional flavors, small batch ice cream, and vegan, gluten-free, and dairy-free choices, there’s no such thing as a bad shake here. You can get a shake in any of their unique flavors, or choose from one of their handcrafted beauties that’s earned the seal of approval from locals and travelers alike. This cozy milkshake bar is like drinking heaven in Grandma’s kitchen. Using locally sourced ice cream, you can get a shake just about any way you like—from plain vanilla to a fully loaded “Golden Girls” inspired shake topped with a homemade Blondie and everything in between. Some things were just made for each other, like the iconic duo of burgers and shakes. You’ll find a heaping helping of both here, and you won’t want to enjoy one without the other. Their special house-made ice cream makes all the difference. Even better, they now offer delivery service to sate your shake cravings whenever they strike. Known for its engaging graffiti and over-the-top burgers, their handcrafted milkshakes will leave you wanting for nothing. You won’t find flavors like this everywhere: Lucky Charms, Little Debbie Cupcake, and Red Velvet are just a few of the fun concoctions you’ll want to try. In fact, their online menu puts shakes at the very top of the list, so it’s perfectly acceptable to start with dessert. This retro diner has everything going for it: karaoke, trivia nights, cruise-ins, and a trip back to simpler times when good food and great milkshakes were all you ever wanted in a meal. This breakfast-all-day joint is known for its old-fashioned shakes and malts, each served in a tall vintage soda glass and topped with whipped cream. The shakes are simple, and people like them that way. Hidden inside Universal Studios in Orlando, you’ll have to be a guest of the park to grab a shake here, but fans agree it’s well worth a stop. Their sumptuous handcrafted shakes look as incredible as they taste at this steampunk-inspired eatery, offering salty Bacon Brittle or sweet Chocolate Brownie Bark flavors, among others. They’re large enough to share, but they’re so good you might not want to. There’s nothing quite like an old-fashioned soda fountain where milkshakes taste about as fresh as the farm they came from. The milkshake list is slim here, as it’s paired alongside other frosty dairy treats, but the low prices and nostalgic atmosphere more than make up for it.